Kobe and the Lakers are ready to defend their title. Who will stand in their way? We've got predictions. 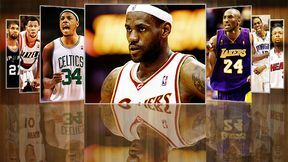 Champ PredictionsWho will win it all? John Hollinger ranks every player in the NBA for '09-10. Put on your GM hat. Make your own deals using ESPN.com's Trade Machine.